Cheapest Goodyear EfficientGrip In Town! 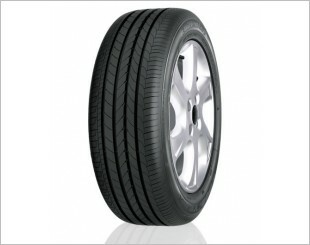 @$115/Tyre, Incl. Installation & GST! Goodyear Eagle EfficientGrip Performance Tyres are on sale now! Prices start from just $115 nett for 16" tyres. Prices listed are inclusive of installation, wheel balancing and replacement of new tubeless valve. In addition, we provide free lifetime tyre rotation and nitrogen gas top-up at no extra cost to you! Call 93655498 (Kelvin) to secure these deals now! The new Eagle EfficientGrip is Goodyear’s quietest, most comfortable tire ever. The leading tire company’s latest innovation is engineered with advanced “Quiet Tred” technology to minimize road noise and help deliver a silky smooth ride, without compromising safety which is the hallmark of all Goodyear tires. Designed for luxury car drivers in Singapore who are looking to escape the hustle and bustle of the urban environment when they step into their cars, the new Goodyear Eagle EfficientGrip can help make the journey more quiet and smooth. Goodyear’s internal tests show that Eagle EfficientGrip is the company’s quietest tire ever. Furthermore, based on external tests on wet-braking performance, the tire outperforms a leading competitor in its class. Closed shoulder design prevents radiating radial noise sound waves to reduce exterior and interior perceived noise level. Balanced block distribution provides smooth block entering into the footprint to lower the impact noise and reduce the radiated noise. Perpendicular edge blading gradually reduces the block stiffness, lowering the block movements and reducing the propagated noise. Absorbing rubber gum strip - The added rubber under layer absorbs the tire vibrations and reduces propagation of road irregularities. The new Eagle EfficientGrip is Goodyear's quietest, most comfortable tire ever. The leading tire company's latest innovation is engineered with advanced "Quiet Tred" technology to minimize road noise and help deliver a silky smooth ride, without compromising safety which is the hallmark of all Goodyear tires. “Luxury car owners in Asia want to enjoy their drive on the road. Whether navigating the busy streets of the city during the week or taking a long drives over the weekend, these discerning drivers are after an indulgent experience without compromising on safety” said Daniel Smytka, Vice President -Consumer Tires, Goodyear Asia Pacific. The Goodyear Eagle EfficientGrip has an advanced asymmetric tread design that provides a high concentration of gripping blades across the contact patch for maximum grip. This increased grip helps reduce wet braking distances and maximises control in all driving conditions. A closed shoulder design which prevents radiating radial noise, and a balanced block distribution that lowers impact noise to deliver a quieter journey. The added rubber underlay absorbs tyre vibrations, reducing the impact of road irregularities for a smoother ride. Featuring the latest innovations in fuel efficient technology, the Goodyear Eagle® EfficientGrip's lightweight construction and innovative silica tread compound reduces rolling resistance, which means you can go further on less fuel. The Goodyear Eagle EfficientGrip is the tyre of choice for original equipment on many premium vehicles including BMW X1, Mercedes-Benz E-Class and Holden Commodore, and in Europe it has become the chosen tyre for many other luxury vehicles. A testament to Goodyear's never-ending commitment to innovation, the Eagle EfficientGrip combines outstanding grip performance with Quiet Tread Technology, making it the latest premium passenger tyre from Goodyear. All in all, Goodyear Eagle EfficientGrip is in a class of its own. I am interested in the "Goodyear Eagle EfficientGrip 16" Tyres".